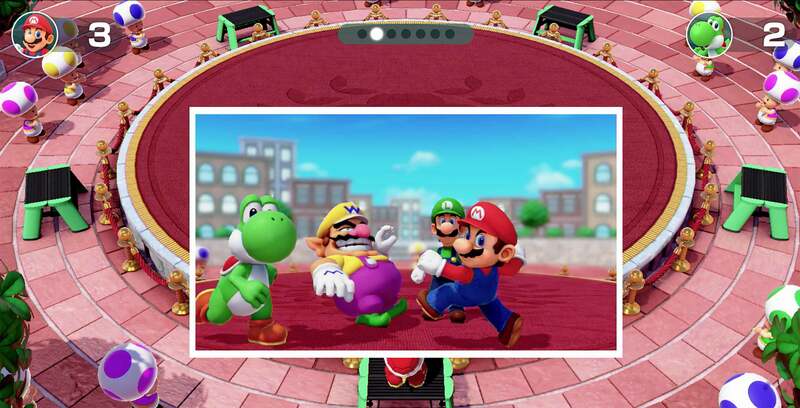 Nintendo has announced a special Super Mario Party bundle for the Nintendo Switch that includes a physical copy of the party game, as well as two Joy-Cons. The left Joy-Con comes in neon green, while the right Joy-Con is coloured neon yellow. The bundle will release in Canada on November 16th and retail for $129.99 CAD. This is a great deal if you don’t mind the colour of the Joy-Cons and are interested in Super Mario Party. For context, Super Mario Party — which released just last month — regularly costs $79.99, while a pair of Joy-Cons is normally priced at $99.99. Therefore, getting the $129.99 bundle is $50 cheaper than buying the game and pair of Joy-Cons separately. The bundle is now available for pre-order at Best Buy and EB Games. If this doesn’t interest you, Nintendo has also recently released a Switch hardware bundle and various accessories for next month’s Super Smash Bros Ultimate. Third-party hardware and accessory manufacturer 8bitdo, meanwhile, is also working on a wireless GameCube adapter for the Switch.